Quick summary: In this fun bingo game, students need to complete a full row on the bingo sheet to win. Students need to find other students who have participated in particular environmental sustainability actions that can then be checked off their sheet. Sustainability Bingo provides students with a long list of prompts that will help them to recall and associate a wide range of positive actions that lead to sustainability. Students identify actions for sustainability. Students connect with other class members. Students understand that some actions for sustainability are relatively simple while others require more effort. Please note this activity can be adapted to many areas across the Australian Curriculum. Syllabus Outcomes: GE5-2, GE5-3, SC4-11PW, SC5-13ES, SC4-4WS, SC4-9WS, SC4-12ES, T4.1.2, T4.1.3, T4.4.1, T4.6.2. Digital learning opportunities: Take advantage of the digital sharing capabilities of Cool Australia’s resources and share this student worksheet with your students. They can play bingo on their tablets or devices. This will save paper. 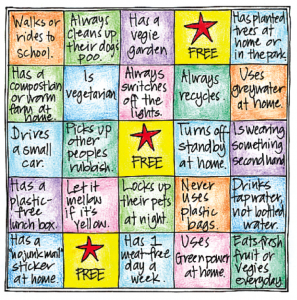 Homework and extension opportunities: Students can make there own bingo card using examples from their home. Keywords: Sustainability, environment, actions, bingo. Overarching learning goal: Students identify actions for sustainability in a fun and engaging way. Hot tips: Through class discussion you can ensure each students builds a clear understanding of sustainability. 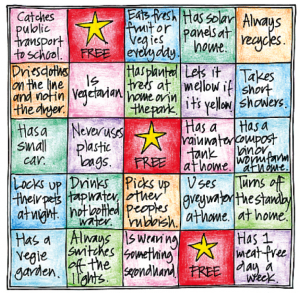 In this fun activity your students get to play Sustainability Bingo. 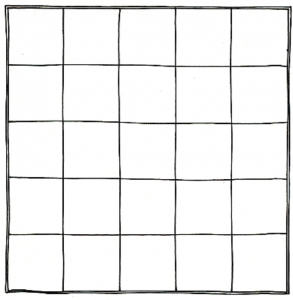 Print out as many bingo sheets as necessary, noting that there are four different versions with slightly different actions and arrangements. You can also use the template to create your own or ask your students to create their own.